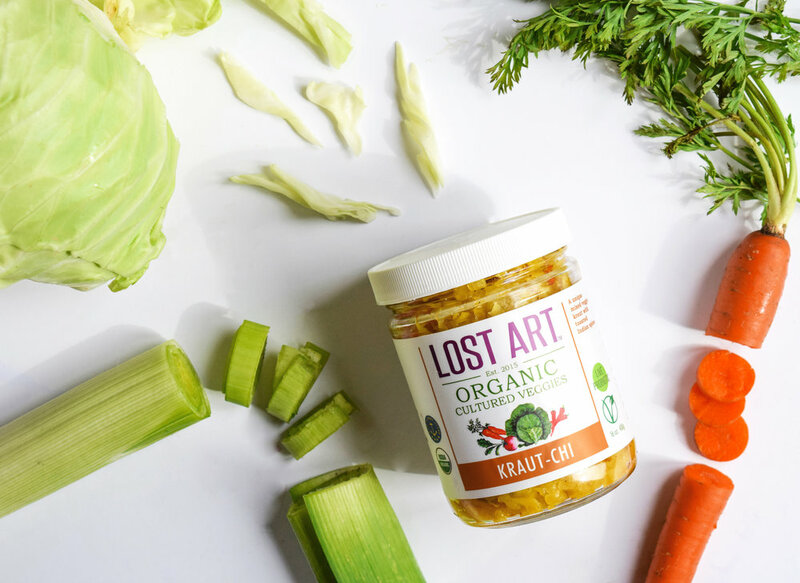 A unique and flavorful mixed veggie kraut with turmeric and toasted Indian spices. Try with eggs or as a topper for fish or a rice bowl! A traditional sauerkraut with hints of rustic caraway. Make the perfect healthy reuben sandwich! 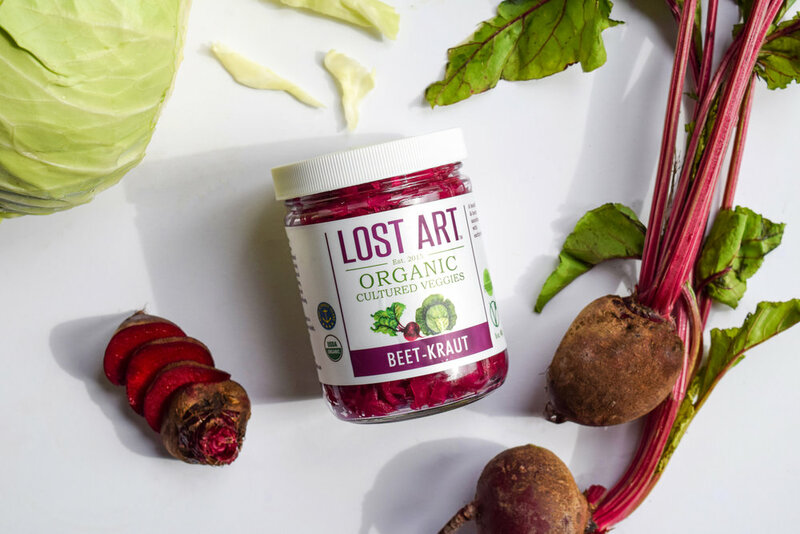 A beautiful and hearty sauerkraut made with earthy local beets. Try on a salad, with blue cheese or as a topper for burgers. 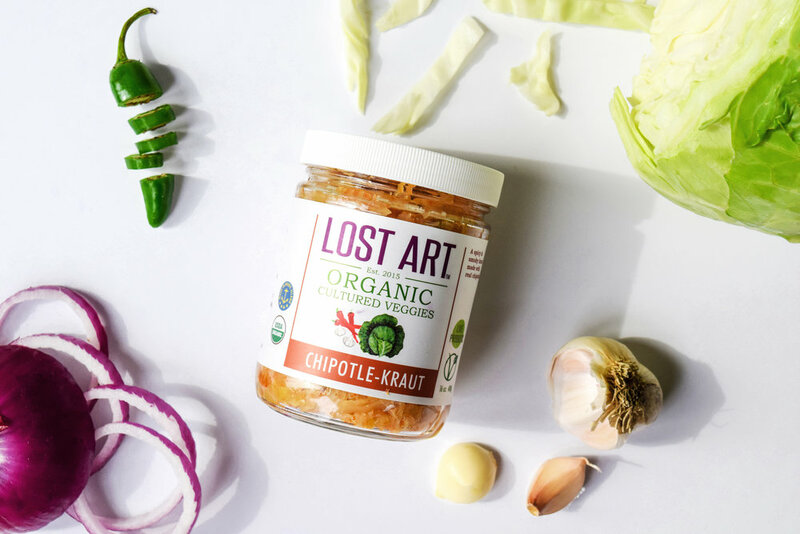 A spicy, smokey and sweet probiotic sauerkraut made with garlic and real chipotles. 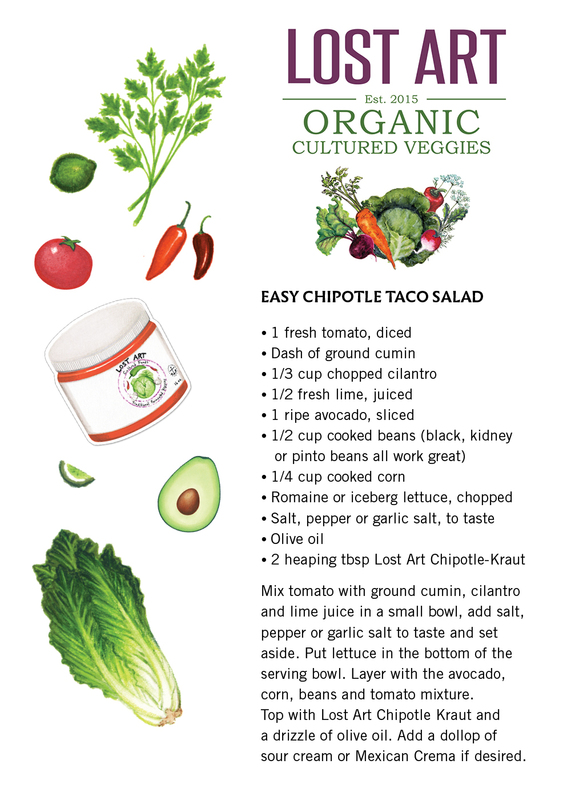 Delicious in a taco, grilled cheese or as a salad topper. A tart sauerkraut made with whole fennel and toasted fennel seed (limited batch, available June–Nov). An ideal topper for sausages and fish or mixing into salads. New and seasonal varieties coming soon!